The Avaya 700503164 Analog Trunk Card is an IP500 analog trunk card that provides four extra analog trunk ports on your Avaya-IP Office system. It gives four loop-start analog trunk ports when attached to IP500 base card. This analog trunk card provides adaptable echo cancellation and busy tone detection. 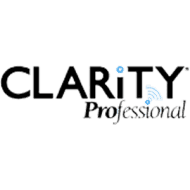 The Avaya IP500 Universal PRI T1 Daughter Card 700417439 is an IP500 Universal PRI that gives an individual T1/PRI trunk port on Avaya IP office system. This type of card can be attached to an IP500 digital station card, IP500 Analog Phone Card, or IP500 VCM Card. It supports the card to support primary rate digital trunk connections. The Avaya MM710B T1 E1 Media Module eliminates a T1 or an E1 connection to either private enterprise network trunks or trunks to the public network. This card is supported by the G range of Avaya Media Gateways. The Avaya MM717 DCP Media Module is a media module for G350, G450, and G700 media gateways. 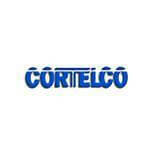 The module gives 24 digital communications protocol (DCP) ports connected through an RJ21X Amphenol connector. 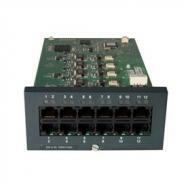 The Avaya IP500 8 Port Digital Station DS8 700417330 is an internal extension module provides for the following capacities: Gives connection for up to 8 Digital Expansions supporting devices such as 2400 5400 & 6400 series handsets this card offers 12 RJ45 ports. The Avaya 700501442 Unified Communication Module is an IP500 base card operating a united Linux server. The C110 UCM module can continue Voicemail Pro and one-Portal for the IP500 v2 cabinet only. 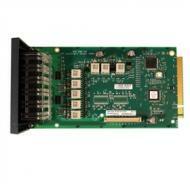 The Avaya 700504556 Expansion Card is a combo card that can only be used on IP500v2 chassis. This card gives a combination of 4 analog trunk ports, 6 x Digital extension ports and two analog station ports (for devices similar a fax machine or credit card device). The Avaya 700504031 Base Card is a base card that provides voice concentration channels for your IP500 method. It has four RJ45 ports which can be related to free trunk interface card which works IP500 Analog Trunk 4, Universal PRI-1 and PRI-2 ports for trunk links. 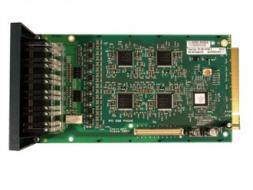 The 700504556 expansion card is designed for IP500 VCM 32 (V1) and provides all 32 VCM channels. The Avaya 700504032 Expansion Card is not only a technology, but also a source of extension in the world of entertainment. The Avaya 700504032 Expansion Card has not only extended the Avaya channel by attaching with the device, however also extended the ease in your life. The Avaya IP500 VCM 32 Card 700417389 is new innovation or technology added for the IP 500 system. 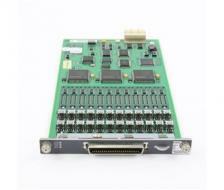 The Avaya IP500 VCM 32 Card 700417389 is an expansion card which helps the system to getting more channels up to 64. This card is specially designed for IP 500 VCM 64 and provides all the 64 VCM channels. 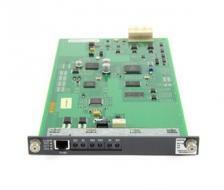 The Avaya IP500 2 Port Analog Station Card is the advanced technology IP500 expansion card that helps in addition of two another and additional analog station ports. Analog devices like table top conferencing speakerphones, single line phones, door phones and fax machines can be connected or joined using IP500 analog phone. It also accepts or takes one daughter card like single or dual T-1/PRI card or Trunk 4.